This month's blog post is written by published and award-winning Edmonton photographer, Emma Wood at Pretty as a Picture Photography in Canada. Thank you for contributing, Emma! Choosing a wedding photographer can be tough! Yes, there are a million of us out there - but even though we all say we are all different, how do you choose a photographer who is right for you, your partner and your special day? Choosing the style of images you are wanting is going to be the first thing you decide. Each photographer will offer a unique style to the next, so deciding on the style will naturally narrow down the options available to you. Many photographers can do a blend of styles - or even a mix of black & white and colour - but if there’s a specific style that you LOVE - make sure to focus on the photographers that specialize in that niche! Not sure what style best suits you?? Have a think about these (to mention a few) . . . Your photographer will probably spend more time by your side than your own mother - so I would say personality is a pretty important factor when making your decision! If you have fallen in love with someone’s style of work, make sure you have pretty much fallen in love with them too before you invite them along to spend the entire day with you! Ok, "love" might be a little extreme, but at least make sure your personalities click -- otherwise it may turn into a very LONG day!! Do you want someone who is going to make you feel comfortable in front of the camera - and make you laugh throughout the day? Do you want a photographer who is going to blend into the crowd and go unnoticed? Or someone who is going to take charge? Does all of the above apply?? Also, don't go by just reviews -- schedule a meeting with them face-to-face. Try to meet with three photographers (or more). This is the best way to really get to know if you are all going to all get along for a whole day! Be prepared to chat about your love story and plans for your wedding, as well. Ask them about their experience, how they like to ‘operate’ on a wedding day, and ask about them and their interests outside of work! There’s always a chance that you may just have found your new best friends! So now how do you choose? Well, what do these photographers offer in their packages? Unlimited images vs. a limited number? Digital files vs. prints only? Colour only vs. black & white AND colour? Two Photographers vs. going solo? Think about which package speaks to you and your needs, and then let that factor into your decision. Once you have chosen a style and you have decided who your candidates are, the price of a the services and products may be a factor as well. There is a huge range when it comes to price (usually based on experience). The more experience the photographer has to offer, the more you should be prepared to pay. On the other hand, if the price is relatively low, that may be great for your budget, but consider whether the photographer has enough experience to get you all through the day - and provide the images you are expecting? Of course, this is not always the case - but please make sure to do your homework! Location may be another important - but most photographers will travel to any location. Find out if they charge a fee for travel. And of course, we all keep our fingers crossed for a beautiful sunny day - but every now and then we are going to get a wet day! Does the photographer have an indoor backup plan? Do they have a suitable studio? Does the photographer have a portfolio? Can you get a referral from a friend? Does the photographer have back-up equipment? Do they provide a contract? What is their standard attire? Do they charge to stay if the reception goes late? As you go through this list, the ultimate thing to ask yourself, like anything else in life, is...what is important to you? If a photographer can provide it all, then you have found your perfect match -- right after your husband or wife, of course! 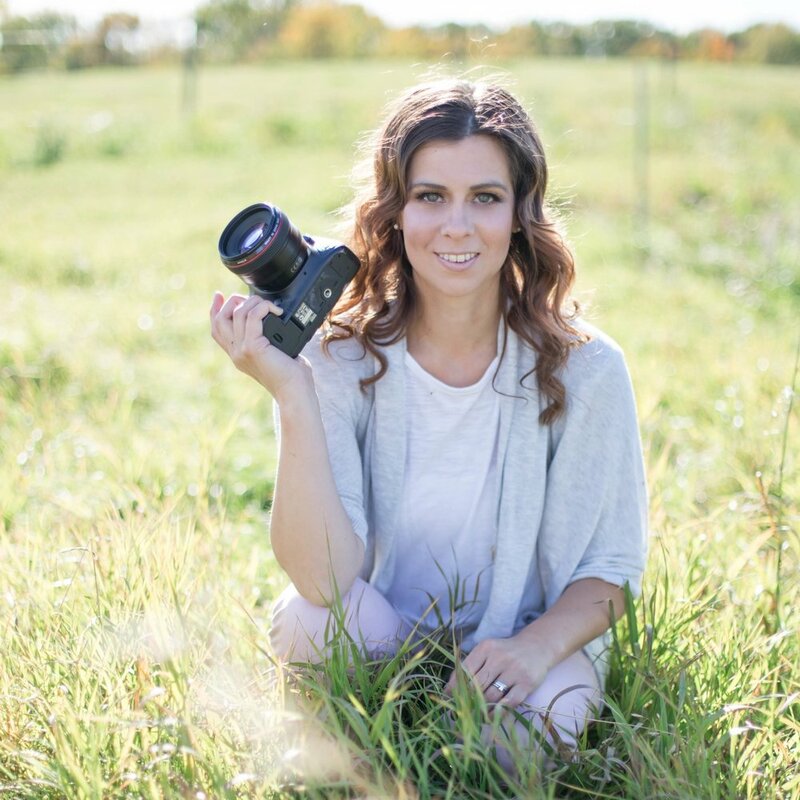 The Pretty as a Picture Photography team, led by published and award-winning Edmonton photographer, Emma Wood, is passionate about capturing love and beauty. We specialize in boudoir and wedding photography, capturing the real you with a 'hint' of glamour. The team also includes our lovely assistants, Monica and Abigail, and our go-to glam-girl, Jess of Clean Slate Makeup and Beauty, who will have your hair and makeup picture-perfect for your shoot. We want your dreams to come true – to come to life in images that you will treasure forever. Visit www.prettyasapicture.ca to learn more about us!